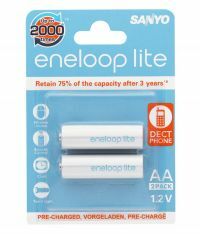 This Eneloop Lite Rechargeable Battery is ideal for Low-to-Medium power consumption devices, such as phones and Remote Controls. The rechargeable batteries are pre-charged and therefore ready to use right after being purchased. 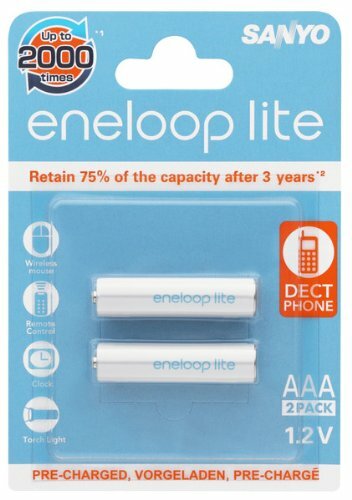 Because of its low self discharge eneloop lite retains 75 percent of its initial charge even after 3 years of storage. This battery is rechargeable up to 2000 times, which makes it even more Economical and Environment-friendly. To Recieve updates and possible rewards for Panasonic 2-HR-4UQ SECP-C please sign in. To Recieve updates and possible rewards for Rechargeable Battery please sign in.